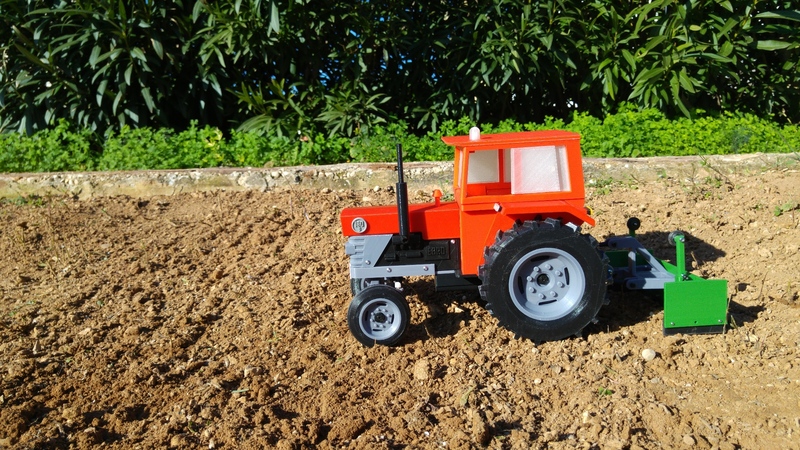 On the 30th of September 1971, my father bought his first tractor. 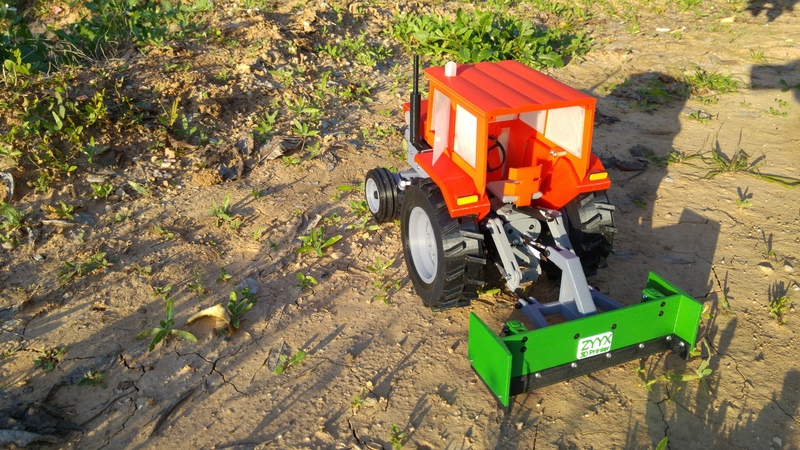 On its 45th anniversary, I proudly presented my next project, the OpenRC tractor. 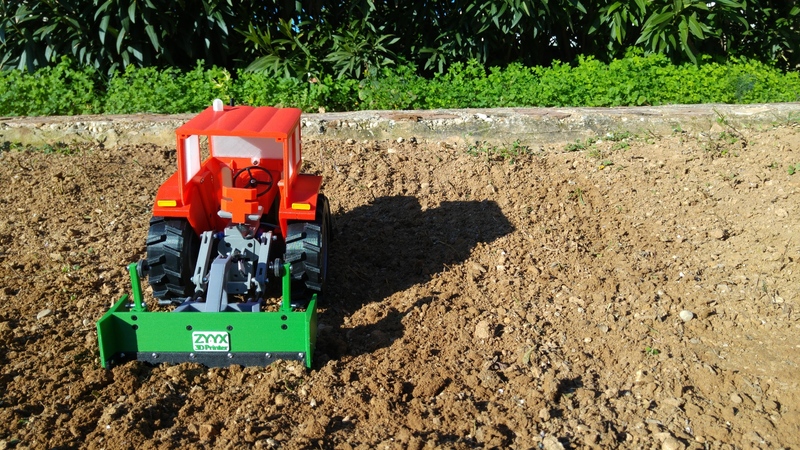 It's an open source 1/10 scale replica of an original Ebro 160D tractor. I designed it all from scratch and 3D printed all parts. Then, I added some electronics, nuts and bolts and I made it work! 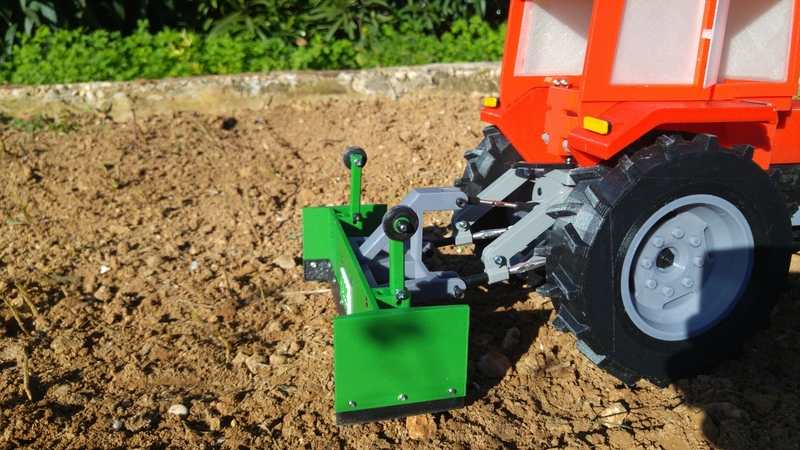 Attached to the model parts, you'll also find some basic instructions and BOM, so you can easily print and assemble your own tractor. It is designed to be easy to print and no supports are needed for any part. 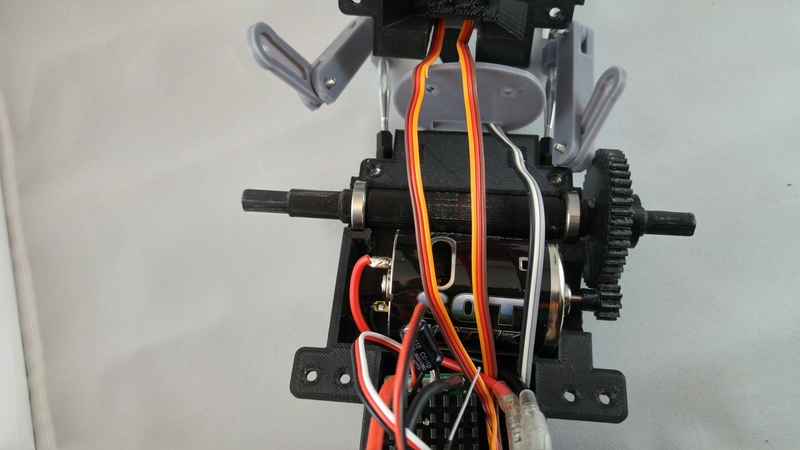 If you have any question, please check FAQ section where you can find updated information about assembly and some tips on choosing components. YOU'LL ALSO FIND LINKS TO NECESSARY COMPONENTS. As part of optional parts, you'll find different optional plates. 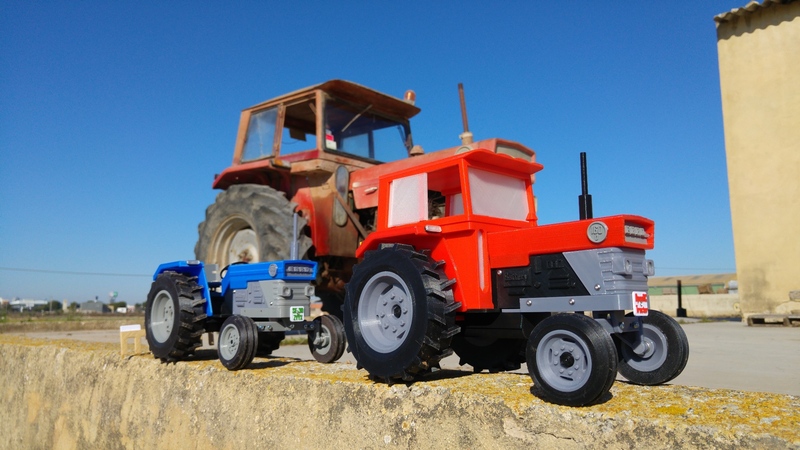 There is one for Spain and one for Sweden because there are already OpenRC tractors in both countries. 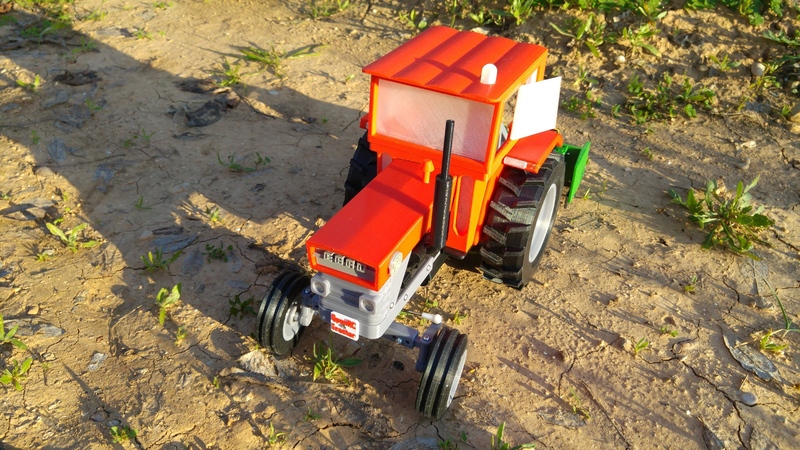 If you print your tractor and you would like to have a plate with your country letters, write a comment and I will try to add it. Recommended motors have poor torque. 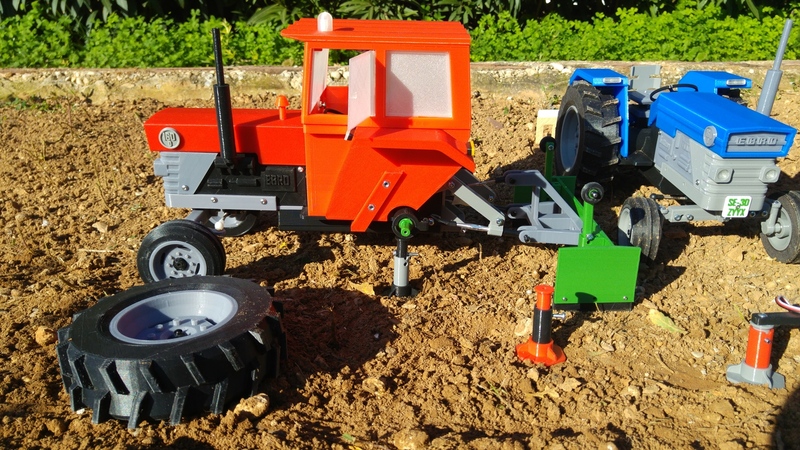 They work on smooth surfaces but not off-road. 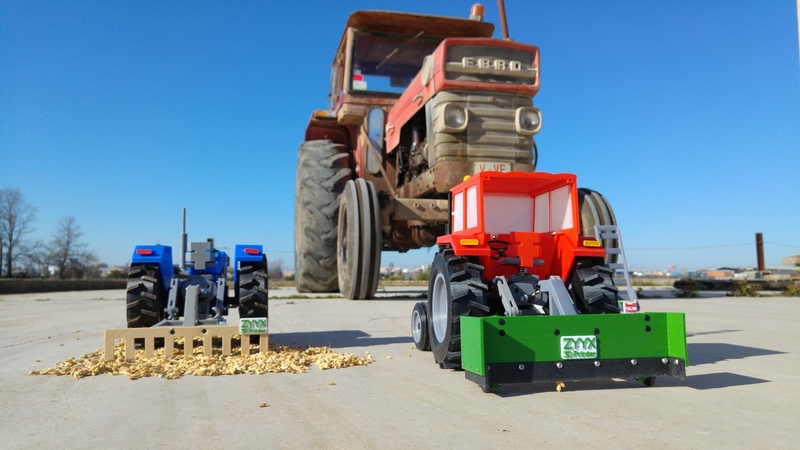 There is a motor mod to use 540 size motor on the updates section. 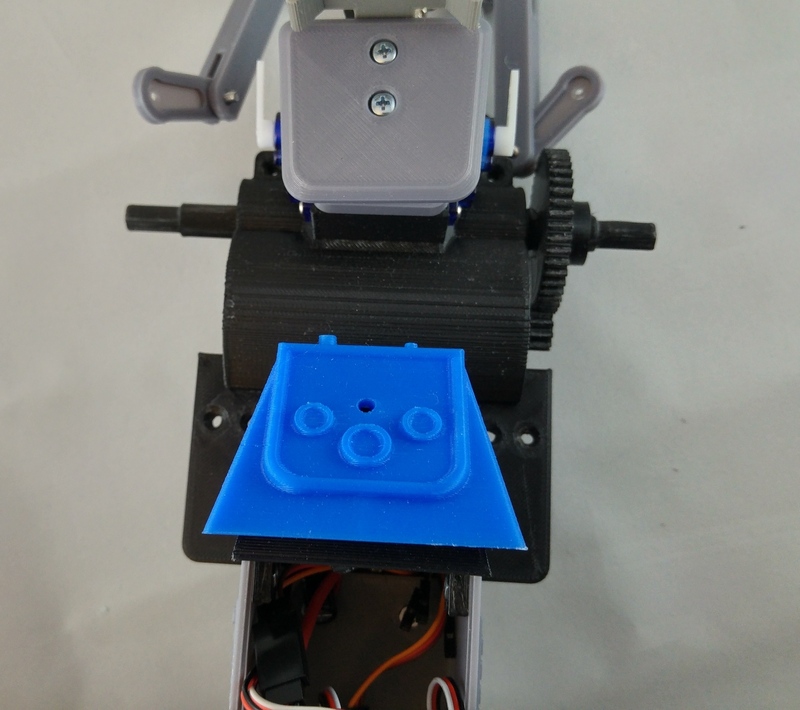 I used same bearings as OpenRC F1 to make it easier for those who already have the F1. And you know what the best thing is? You can design your own tools! There is a lot of work put into this project, hope you like it and to see your prints soon! 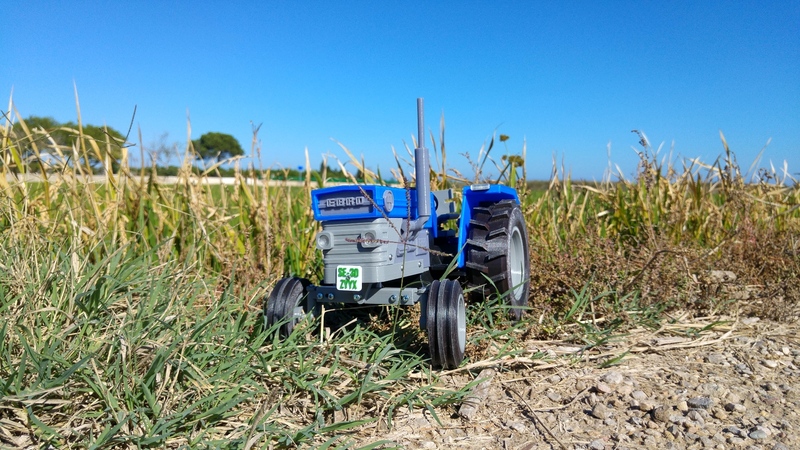 With OpenRC Tractor, possibilities are endless, navigate left or right for some awesome add-ons and tools! 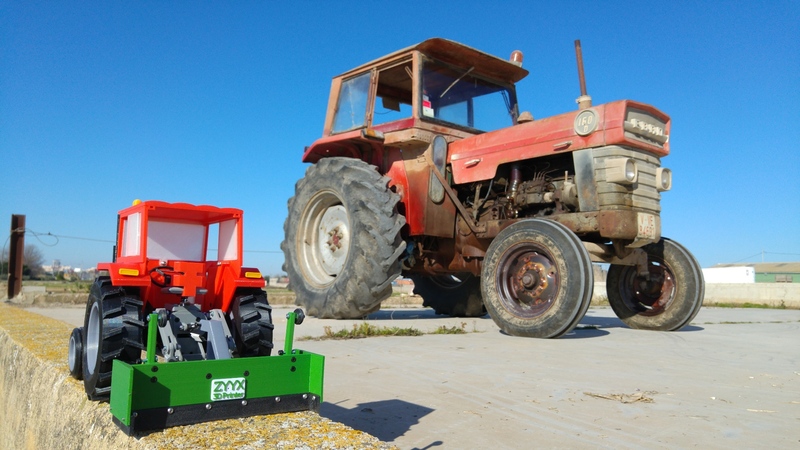 OpenRC Tractor Cabin: They are like two peas in a pod!! 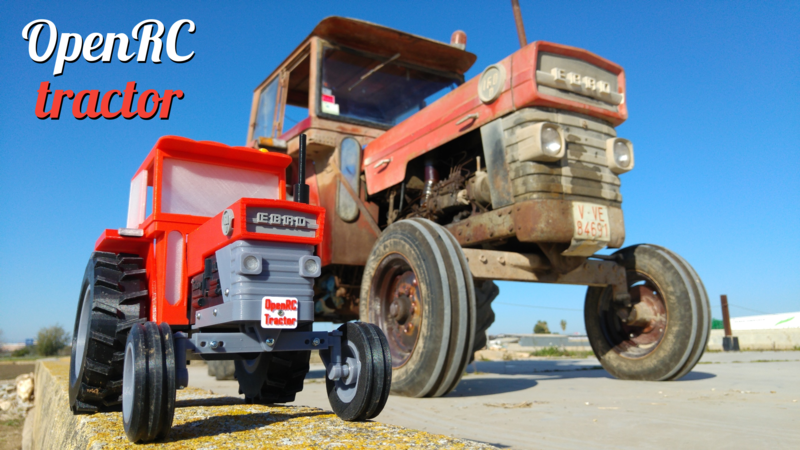 If you print it, please share, I love to see tractors around the world!! 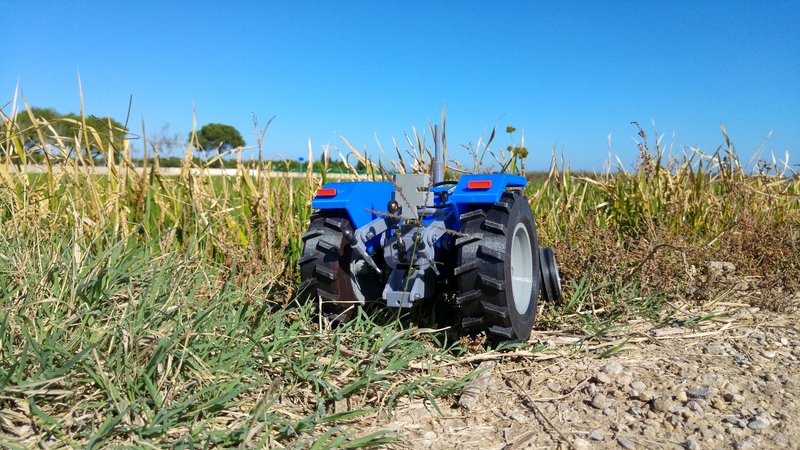 Watch the OpenRC tractor in action! Thanks to ZYYX 3D printer for sponsoring the project.